Description: Sarajevo - 23 July 2013 - The Roma families enjoying the pizza we bought. For us, was a very little cost but for them, it is like a special day. 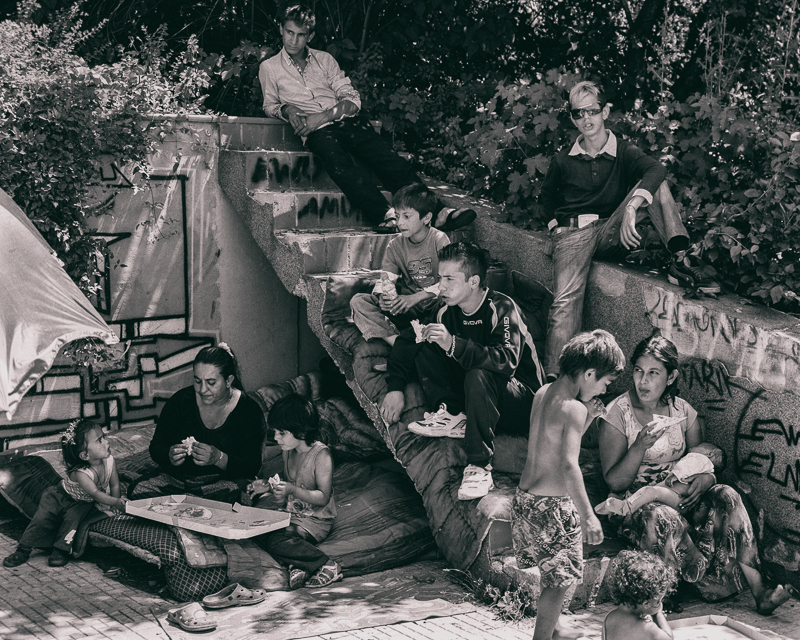 Caption: Sarajevo - 23 July 2013 - The Roma families enjoying the pizza we bought. For us, was a very little cost but for them, it is like a special day.